I found the KUI Tea Tree and Cinnamon Collection on Instagram earlier this year (late March). 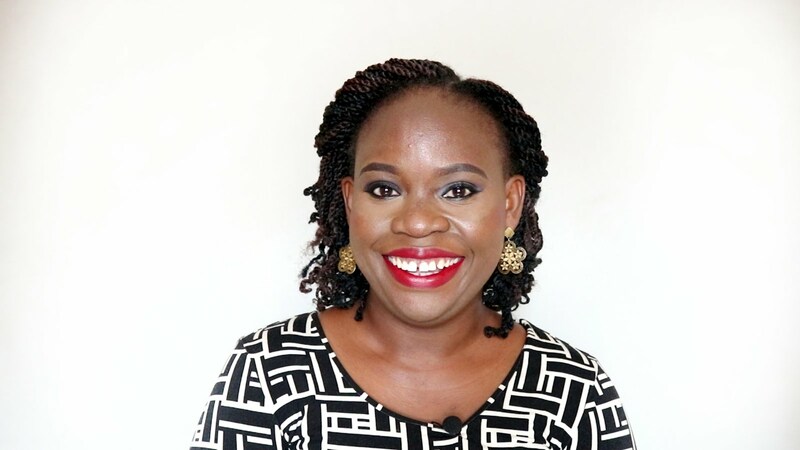 I was looking for an affordable, pocket friendly and on a budget leave-in spray as I had braids on at the time. I wanted something I'll spritz on my scalp and braids instead of rubbing a leave in cream. So I stumbled on someone's Instagram post on the KUI Tea Tree and Cinnamon Leave-In Conditioning Mist. 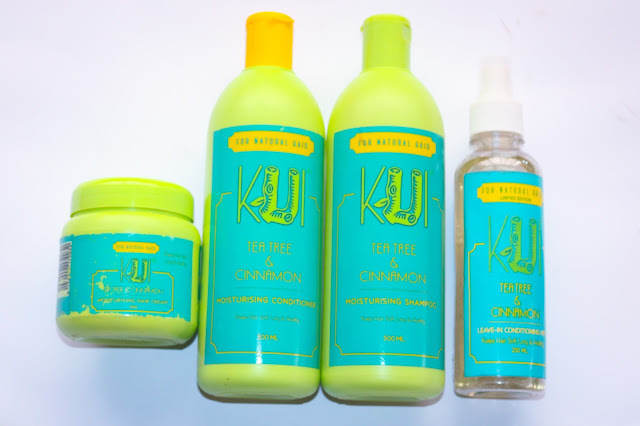 From that post, I went to the Kuicare Instagram page (@kuicare), read reviews of the products, then their website, found a seller in Ibadan and bought the whole collection. Please note that all words in purple are clickable link. I bought the entire collection of 4 products for 5,000naira from a stockist here in Ibadan. That my dear friends is the true definition of AFFORDABLE, lol. 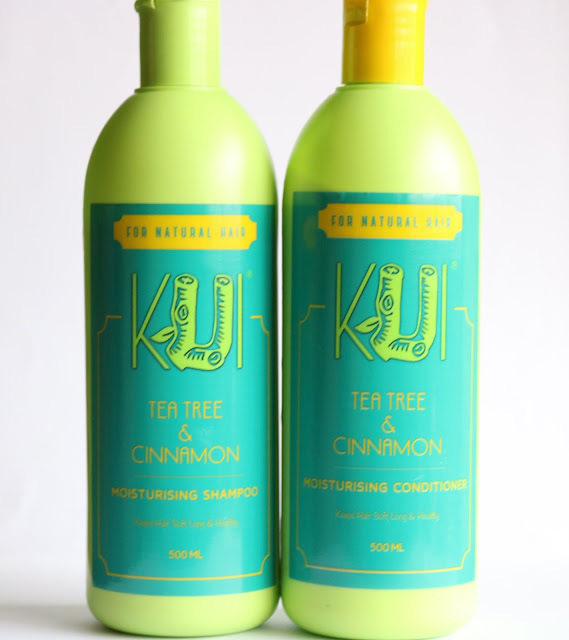 Let me start this review with the KUI Tea Tree and Cinnamon Moisturising Shampoo. Price: It retails at 1,400 to 1,600 naira depending on the hair store. 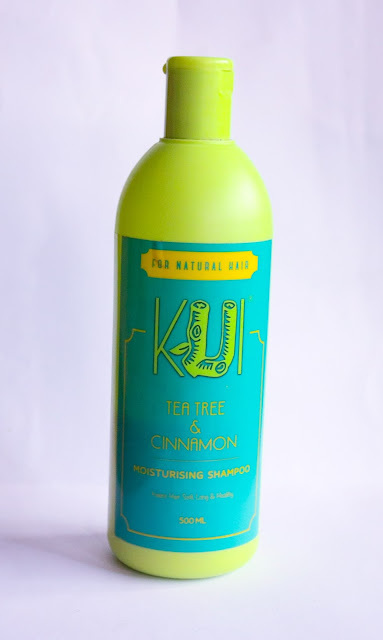 This shampoo lathers very well as a little of the product goes a long way in cleaning my scalp and hair. My hair looks and feels good after using this shampoo. This shampoo is mild on my hair and it has a great smell. The only issue I have with the shampoo is that it has sulfates (Sodium Laureth Sulphate) in it's ingredients. 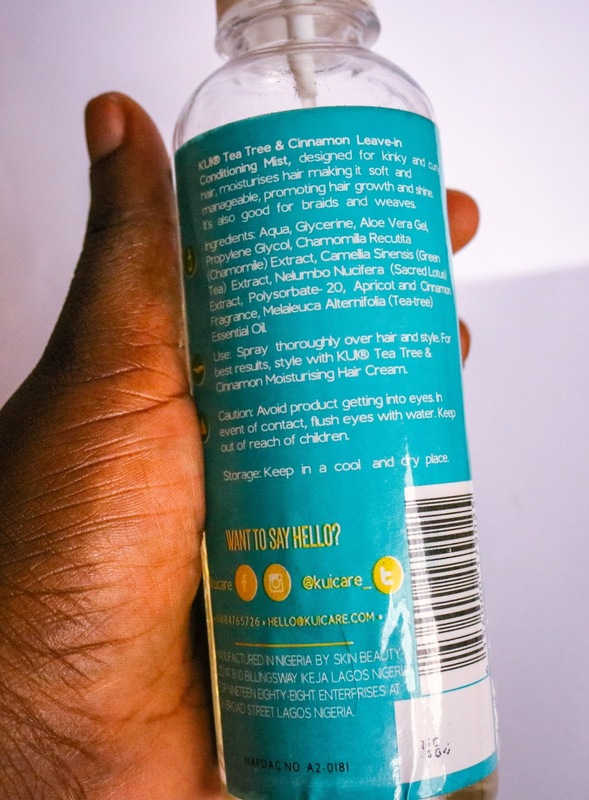 We all know that natural hair girls are advised to use products that are free of sulfate as sulfate is a harsh chemical that strips natural hair of it's natural oils. But I have a solution for this so don't be discouraged or write off this shampoo. My solution for protecting your hair from sulfates in shampoo is PRE-POO. 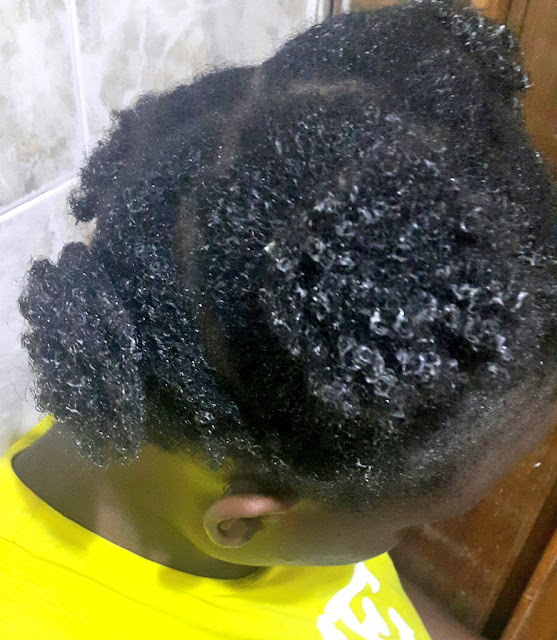 If you read my post on How I care for my natural hair , I share a link to an article on Curly Nikki website on The art of Pre-poo for natural hair. Each time I use this shampoo, I prepoo my hair 30-45 mins before. 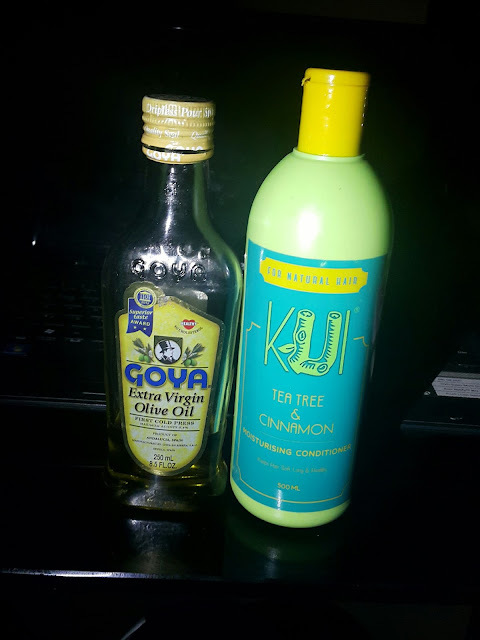 I use coconut oil or olive oil or I mix a conditioner with oils to prepoo my hair. It helps condition and nourish my hair. But as I wrote earlier, the shampoo is mild on my hair. I'll grade the shampoo a 3.5/5 just because of the sulfate. I hope the producers of this product modify the ingredient and remove or substitute the sulfate in it. Size: The size of this product is also 500ml. Price: It retails for 1,400 to 1,600 depending on the hair store you purchase it. This conditioner is thick and has slip. Just like the shampoo, a little goes a long way. 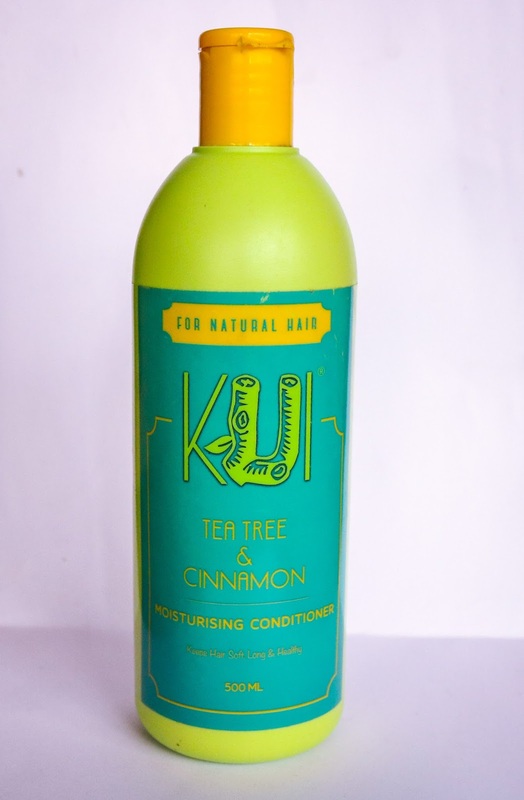 It moisturizes and de-tangles my hair, making my hair soft. Just like the shampoo, it has a great smell too. I'll grade this conditioner a 4.5/5. You notice immediately that the shampoo and conditioner come in the same bottle design. 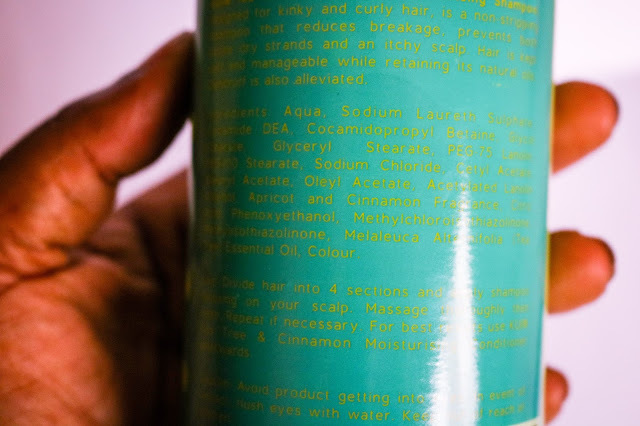 However, it's easy to differentiate the shampoo from the conditioner by the colour of the cap. 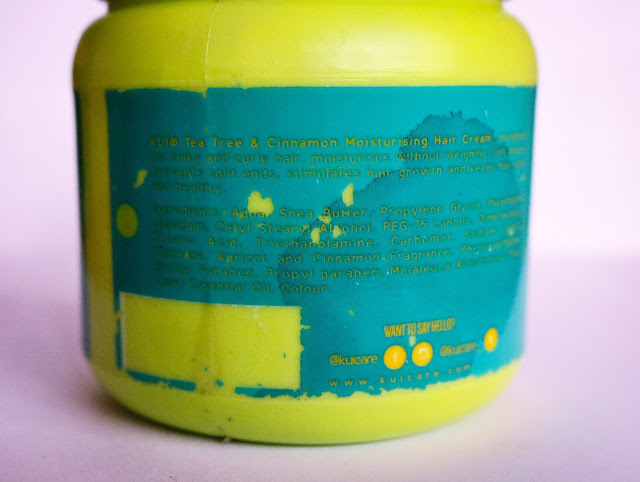 While the colour of the shampoo cap is lemon green, the colour of the conditioner cap is yellow. This has really helped me identify the products easily. Third item in the set is the KUI Tea Tree and Cinnamon Leave-In Conditioning Mist. Size: The size of this product is 300ml. However, they did a limited edition of 250ml. 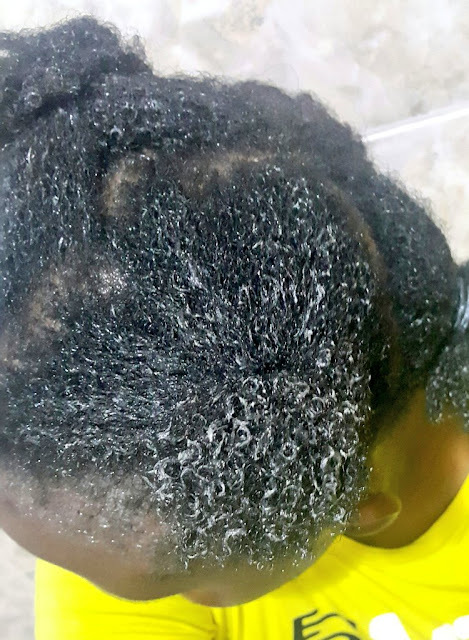 Price: It retails between 1,000naira and 1,500naira depending on the hair store where you purchase it. This, my dear friends, is the reason I bought the whole set of products. 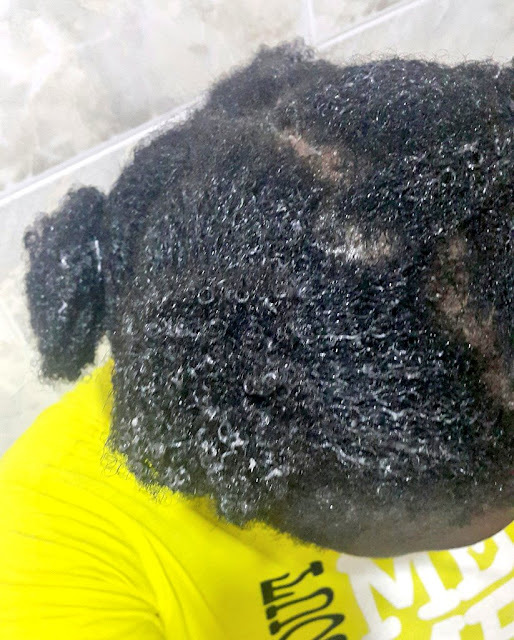 As I wrote earlier, I had braids on and I was looking for a good and affordable leave in spray when I found this product. This leave in conditioning mist is lightweight. It gives my hair moisture (for days) without weighing it down. Plus it's so easy to use especially when I'm on protective styles. I love this leave-in conditioning mist. I'm currently using my second bottle. The only issue I have with it is the bottle slips from my hand when I'm applying the product which can be annoying sometimes. 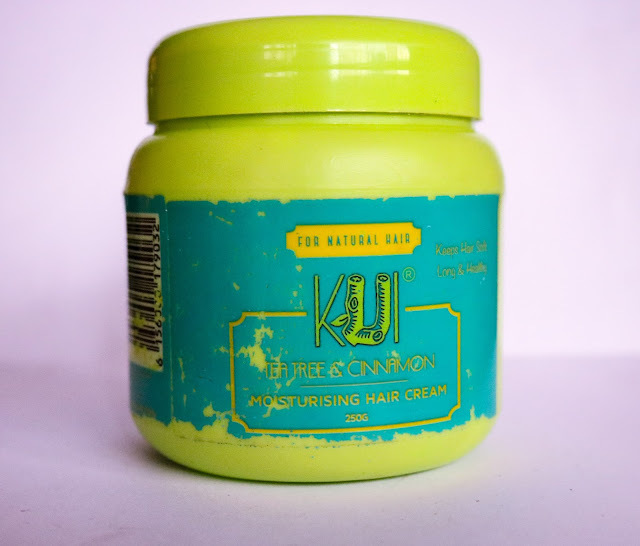 When I first got it, I thought it would have a petroleum jelly like feel like a lot of made in nigeria hair cream product but when I opened it, it felt silky and soft between my fingers. I was intrigued. I applied it to my hair and it moisturizes my hair so well. It also gives my hair a soft and fluffy feel. I use the leave-in conditioning mist and hair cream together most times. I believe they work better together than individually. 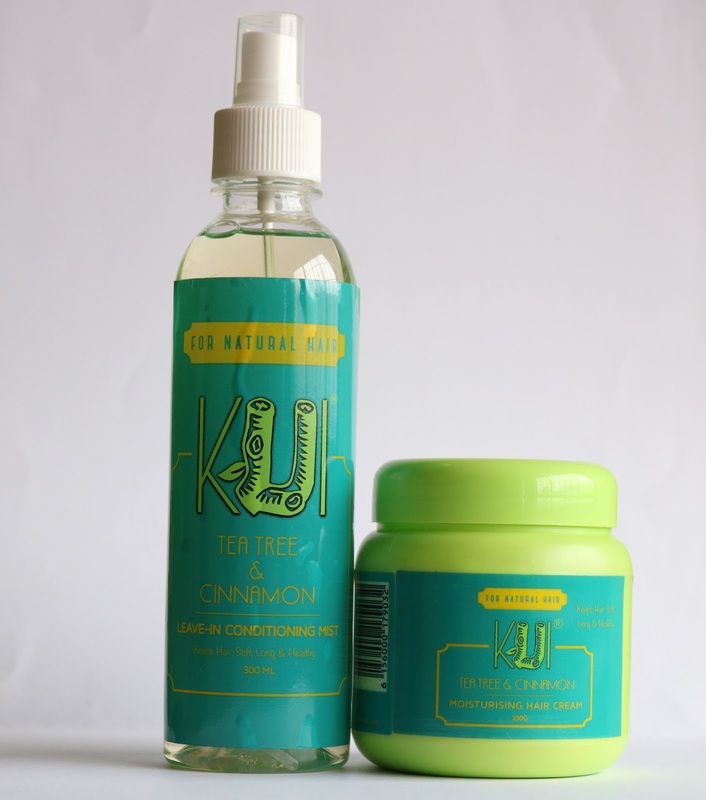 They keep my hair moisturized and soft for as long as 5 days depending on the weather and my hair porosity is high. I'll give the hair cream a 4.5/5 grade. So guys that's the end of my review. All together, I'll grade the whole set 4.25 over 5 😀. If you're looking for good and affordable hair care products, you should definitely check this set out. 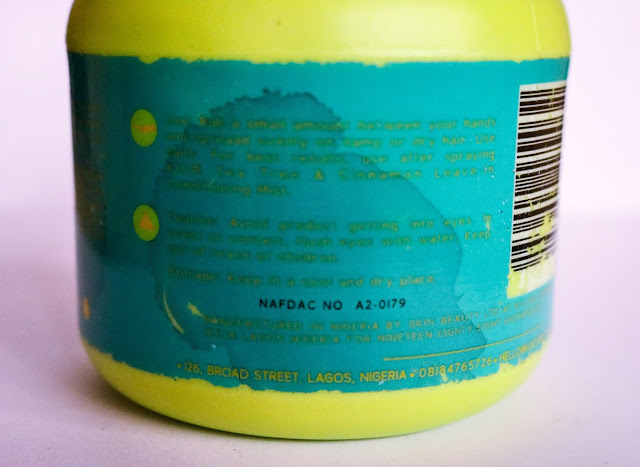 Also note that the products have NAFDAC numbers and expiry date so it's safe to use. Where to buy: This post has affiliate links so just click and it'll redirect you to an online store to purchase the products. 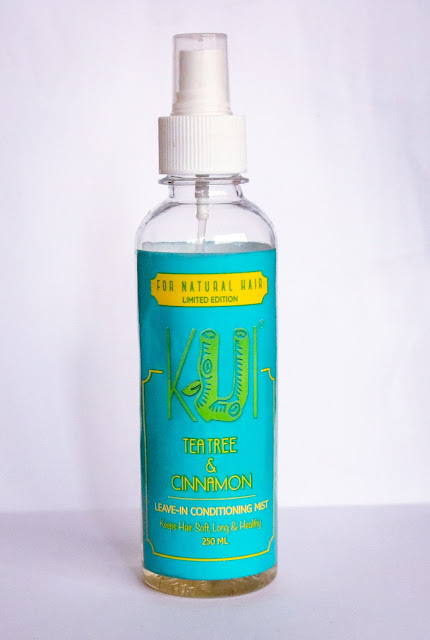 You'll also find a list of stockists on the KUI care website http://www.kuicare.com/stockists. I bought my set in Ibadan from Tejumomoh (@tejumomoh_ on instagram), you can reach her via Instagram DM or phone call/Whatsapp on 07063013318. She's a very pleasant lady and offers prompt delivery within Ibadan for a fee. Thanks for sharing this review. I have been looking for a good hair kit to try. i would look for this. You should try it. It's good and affordable. Plus they have stockist in every location in Nigeria. Thanks for reading. Tola nice review as usual. I bought the kit but am not feeling it . The shampoo,conditioner and cream is dry to me though am not feeling that luxurious moisture. The hair mist is bae I love it so much and will definitely restock.